If you’ve just started your business and aren’t sure what to do next, this article is for you. We’ve listed five key things you need to tackle to get your business off to a great start, putting you in a position where you can pay the rent and leave your day job behind. Who is your target market / audience? This is one of the key things you need to get clear on when you start your business. It’s easy to ignore (and many people do) but you’ll be better prepared and make more informed decisions if you take this bit seriously. Your target market / audience influences your branding, website, marketing and where you look for potential clients. It can be difficult to pin down your target market, but if you don’t agonize over every little detail you’ll get there. The aim is to get you focusing on a certain group of people, that’s all. Plus, we guarantee it’ll change as your business grows and develops. If you need help finding your audience, this article goes into a lot more detail. Limited or sole trader? This can be a tough decision when you’re getting started as it’s hard to know what’s best, especially when all you can think about is getting your first clients. But it’s better to decide now rather than converting to a limited company down the line and it costing you more money to do this. There’s nothing wrong with either way of running your business, just make sure you pick the one that not only suits you now, but suits where you want to take your business in the future. A sole trader is personally liable for the business (this includes any debts and legal actions made against you) but you can withdraw cash from your business without any tax effects. You are the owner of the company. A limited company is a legal entity in itself. This means that debts (not guaranteed personally by you) and legal actions are made against the company. You are a shareholder and own a proportion of the company in relation to the number of shares you have. You serve the company as a director and any cash you withdraw is taxed. For more information on this we found a useful table that breaks everything down really well. How much are you going to charge for your product / services? This is a tricky area for most startups. Price yourself too high and you might find it hard getting your first clients, too low and you could end up being a busy fool and seen as a budget option. The key is finding a middle ground where you can earn enough to get you started, live comfortably and grow your business. Luckily, we’ve already done an article on this showing you exactly what you need to do. This is one of the main questions we get asked here at Helm because it’s the lifeblood of your business. Without clients you don’t have a business, so let’s take a look at what you need to do. Start by asking friends and family if they could use your product / service or know anyone that will. This is a great way to get off the ground because these people already know you so there’s trust between you. Plus, you won’t have lots of case studies or samples of work to show people at this point, so working with friends / family will help you build up a portfolio and get some testimonials and reviews. Now you need to think about where you’re going to operate your business. Working from home can seem like a good option to begin with (little to no costs) but can prevent you from building relationships and meeting people. It can also get a little lonely and drive you a bit crazy being in the same place ALL the time. 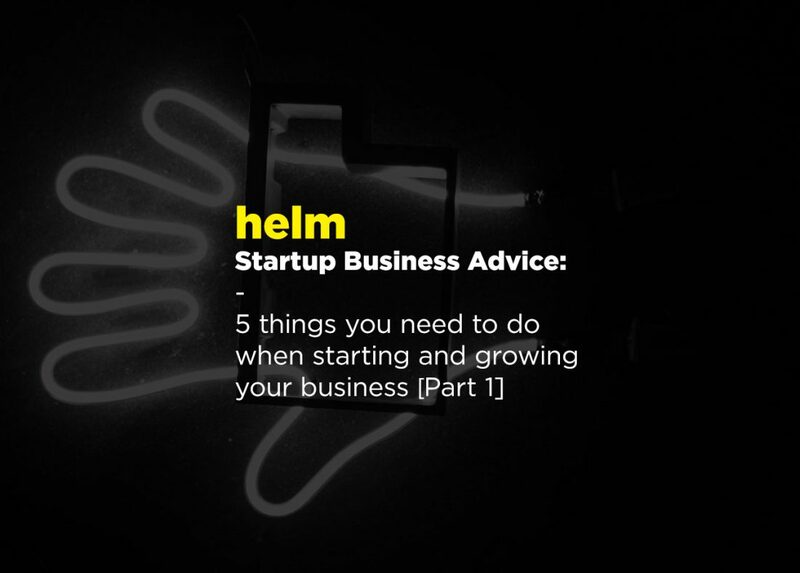 Think about finding a co-working space (like Helm). These places are ideal spots to meet like-minded people that might be looking for someone with your skills. They also make you look much more professional as you can ask clients to meet you at the office. Next is partnerships. Depending on what you offer, it’s a good idea to contact companies that tie in with this. For example, someone offering web design could contact agencies and big companies with in-house departments to see if they want to contract work out to them. This works well because (at least at first) you’ll be a cheaper, quicker option for them. If you’ve found this article helpful, watch out for part two (coming soon) that tells you how to handle admin, marketing and networking. 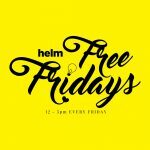 In the meantime, if you’d like to try working from Helm pop over on a Friday between 12-5pm (it’s free).